The mission of 4-H Program Office is to enable youth, ages 5 to 18, in Minnehaha County to be engaged in the following: leadership skill development, healthy relationships, STEM exploration, and agricultural literacy. Youth ‘learn by doing’ through participation in community clubs, special interest clubs, and out of school enrichment. 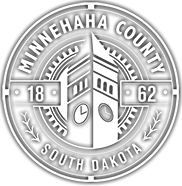 The Minnehaha County 4-H program is facilitated by South Dakota State University Extension and is the only Federally supported youth development program. If you or your family are interested in joining 4-H, please contact the Minnehaha County 4-H office at 605-367-5655 or minnehaha.county@sdstate.edu. Minnehaha County 4-H has clubs for new families to join located through the county including Sioux Falls, Hartford, Colton, Baltic, Humboldt, Dell Rapids, Brandon and Rowena.